The NPEA (National Political Education Institute, or Nationalpoltische Erziehungsanstalt) was first formed in 1933 as a training organization for Nazi youth (ages 10 to 18), to prepare them with the skills needed to act within the leadership levels of the Nazi party or military. The NPEA was run by the German SS (Schutzstaffel), and its instructors and management from the ranks of the SS, as well as the SA (Sturmabteilung). The NPEA daggers, at first glance, resemble the SA dagger, but with a few very important general distinctions. First, and the most obvious, is the absence of the “SA” roundel just below the top cross guard. 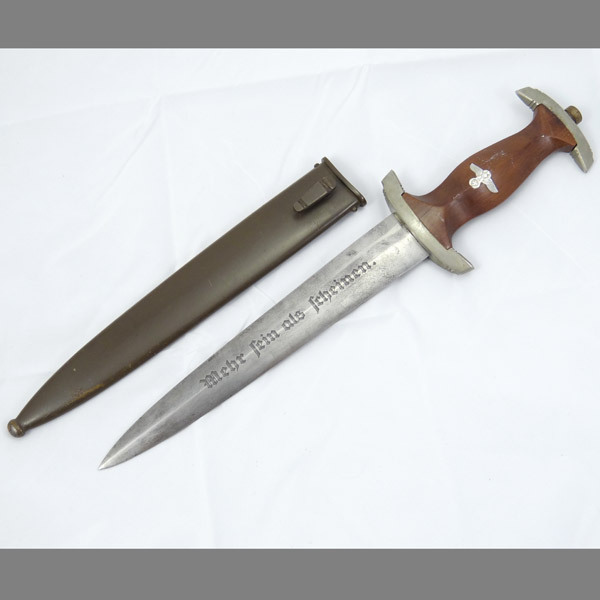 Another distinction is the motto on the blade, “Mehr sein als gcheinen” which loosely translates to “Be modest but always excel”. 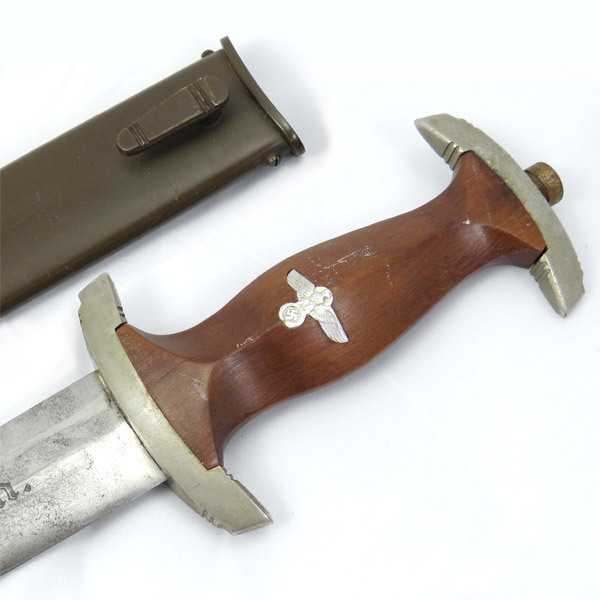 Another obvious difference between the SA dagger and the NPEA dagger is the scabbard. 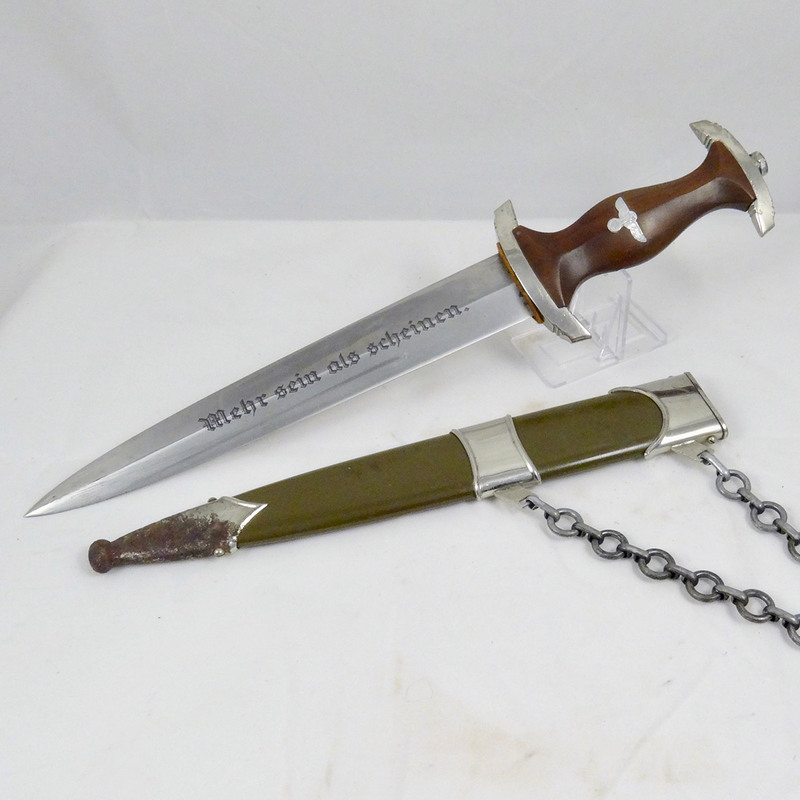 The NPEA Student Dagger and NPEA Student Leader Dagger uses a rather plain looking olive drab colored bayonet style scabbard with frog lug, whereas an SA dagger’s scabbard is brown with two very contrasting silver colored fittings. 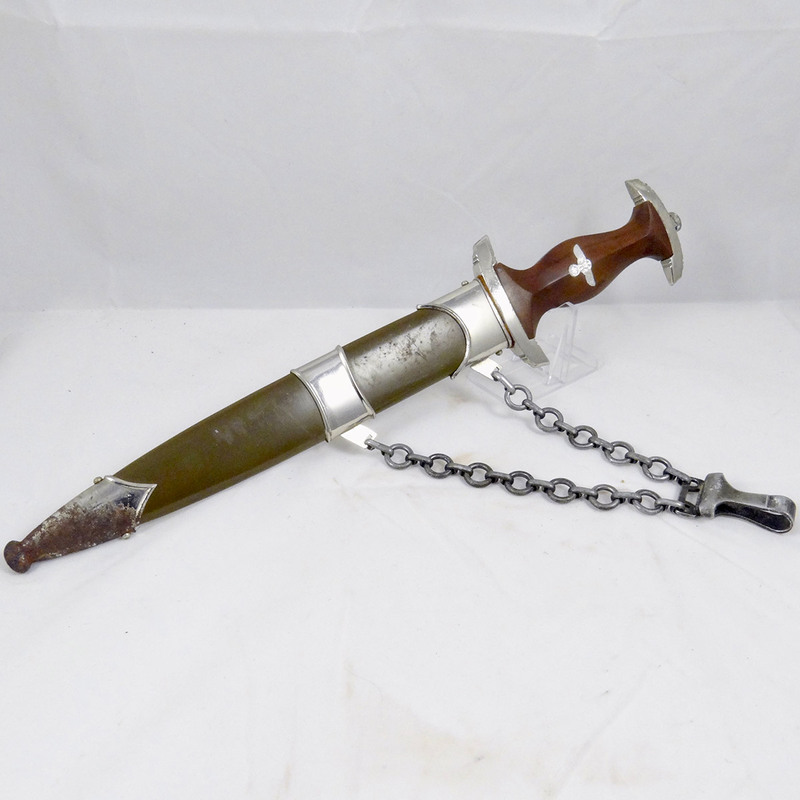 These daggers have been reproduced very well over the years, and can easily fool the unsuspecting collector. For this reason, always purchase these from a reputable dealer (such as us).